For breakfast lovers around the world, there’s no better way to start the day than with a full English breakfast. Nearly everything on the plate is enticing (maybe not the tomato). A new survey has come out showing that this breakfast, along with other egg-based meals, could be the cure to a gnarly hangover. British Lion Eggs are responsible for conducting the survey in the UK where there is a prevalent and unwavering drinking culture. 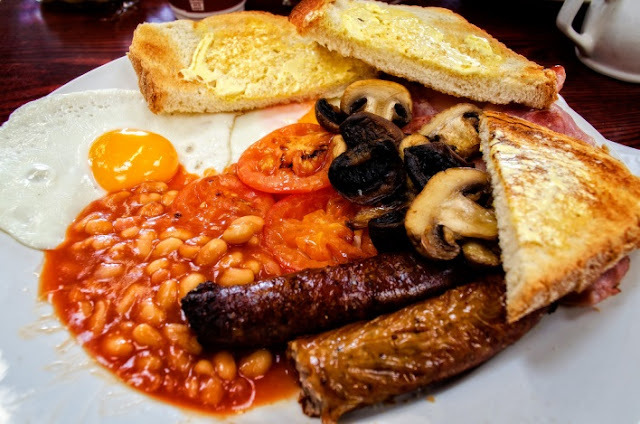 The results are surprising, concluding that 38% of Brits who ate a fry up recovered from the hangover in less than three hours. Of those who took painkillers, only 19% were over the hangover in that time; even less recovered after spending the whole day resting in bed, 3%. Produced by the body as it metabolises alcohol, acetaldehyde is a by-product of the liver breaking down the enzyme alcohol dehydrogenase. After it is produced, the acetaldehyde is seized upon by the enzyme acetaldehyde dehydrogenase and substance gluthathione. The intermingling of this enzyme and substance produce a non-toxic acetate which effectively processes alcohol and safeguards the body against the unpleasant effect acetaldehyde has. After a heavy night of drinking, however, the liver’s gluthathione stores are depleted, leading to a build-up of the toxin acetaldehyde. The most common side effects of a build-up are headaches and nauseous feeling. Slightly nauseated and a pounding head, can you even think of stomaching food? If you’re more a fan of supplements, consider taking 200mg of N-acetyl cysteine (NAC) before drinking.